Volume 1 of our featured articles celebrating Supreme's 25th Anniversary. As we take a look back at Supreme’s 25 year history in 2019, the annual and seasonal traditions have become one of the primary reasons fans return in full force season after season. 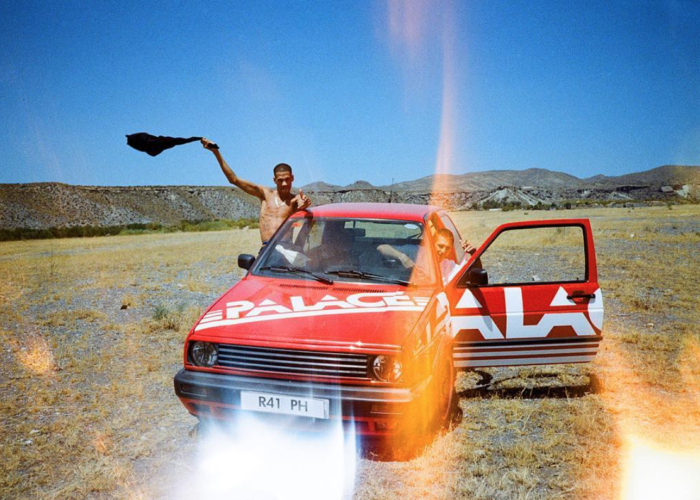 Whether it’s seasonal collaborations with The North Face, the annual box logo release in December, or that one accessory each season that is just too crazy to not demand your attention (think Fender Stratocaster or Pinball Machine), the anticipation surrounding each new season and year only seems to grow. Since 2014, Supreme has released an exclusive Christmas themed item in during the tail end of each Fall/Winter season, usually dropping one full week before Christmas. 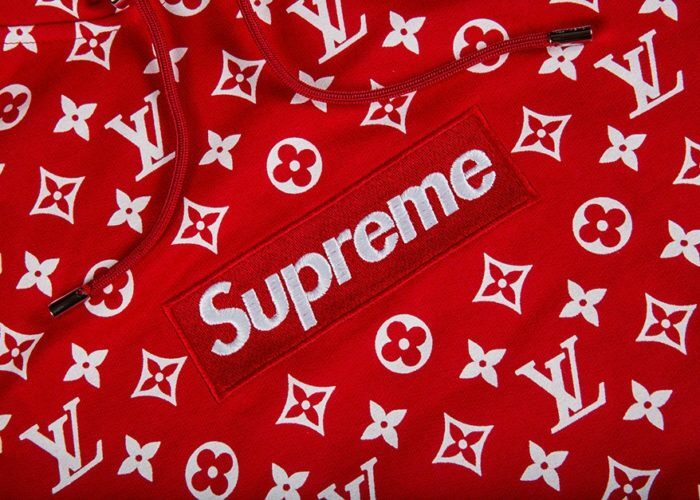 While each item is not included in Supreme’s seasonal preview, the anticipation of the announcement towards the end of each year has led to quick sellout times and a booming secondary market for the Xmas exclusives. Let’s a take a look at the complete history of Supreme’s Christmas items, and as always, just click the photos to shop each item on StockX. Supreme’s Fall/Winter 2014 collection has been hailed as one of the brand’s finest by critics, as it was the last to release with Creative Director Brendon Babenzien at the helm, who left in early 2015 to relaunch his own brand, Noah. Highlights from the season included collaborations with H.R. Giger & Raymond Pettibon, the KRS-One Tee, and the infamous The North Face “Bandana” collection. It was also the first season to see an exclusive Xmas item, the Silent Night tee. 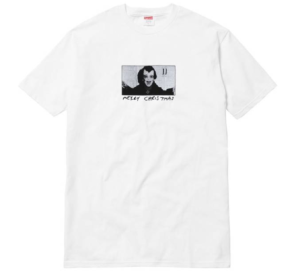 The tee released only in white, and features a clean black box with white font on the front, and small box logo on the rear with “December 2014” printed below it. 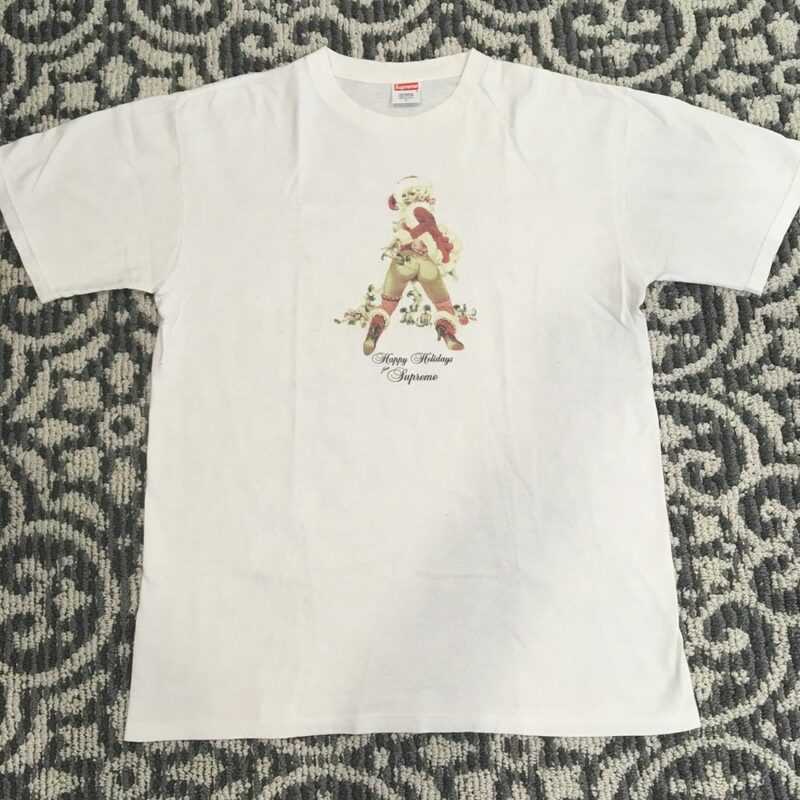 While not the most notable of items, the tee features a reference to the release date (which is rare for Supreme items) and also led the way for future Christmas drops in following years. Shop the tee here. Another gem among Supreme’s recent history, Fall/Winter 2015 was highlighted by a collaboration with Jordan Brand and the TNF “By Any Means” collection, as Angelo Baque led the brand prior to his departure in 2017. Supreme’s second installment of their Christmas releases features a set of two tees, which released during at the tail end of the season in black and white colorways. 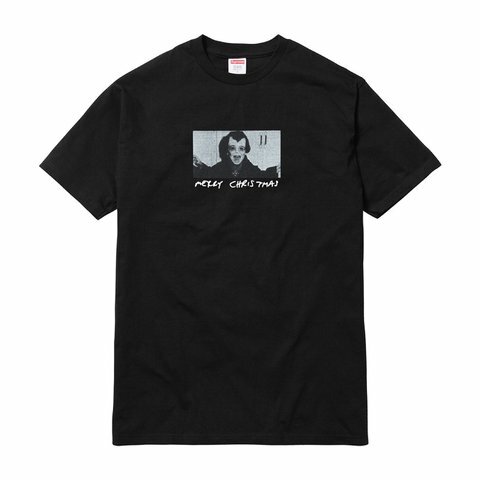 Simply titled the “Merry Christmas Tee”, the graphic features an ominous photo of what appears to be Dracula, positioned above a handwritten font reading “Merry Christmas”. 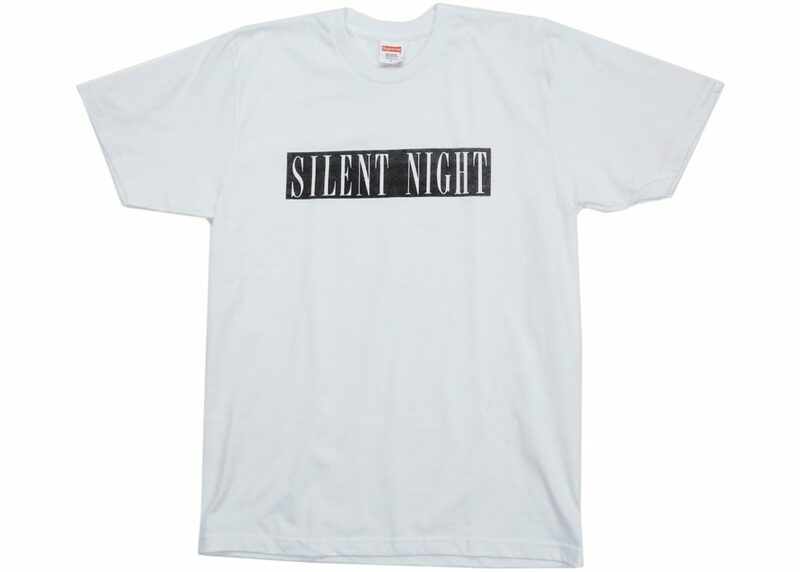 Similar to the 2014 Silent Night tee, the back includes a small printed box logo with “December 2015” inscribed in handwritten font below it. Shop the tees here. Perhaps the most notable and desirable item of Supreme’s Christmas exclusive releases, Supreme came through in the clutch at the end of their Fall/Winter 2016 season to release this Santa tee. 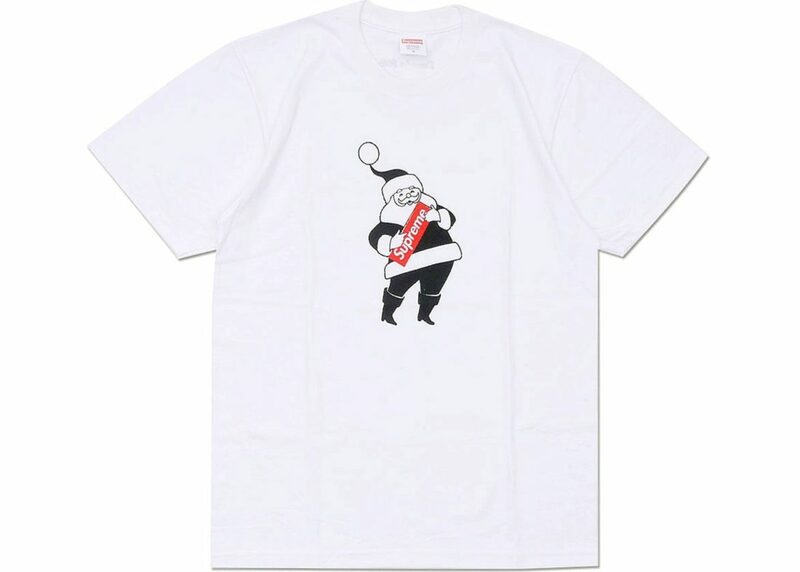 The tee is clean and simple, featuring a black and white Santa holding Supreme’s iconic box logo. With average the sale going for more than $200, this tee easily holds the largest premium among all the Christmas exclusive. Check out the current prices here. While previous Xmas releases used smaller graphics, Supreme’s Fall/Winter 2017 Xmas offering strayed from the norm with more of an allover print. Informally known as the “Skeletons” tee, the graphic includes red and green skeletons wearing Santa-style hats with a small box logo printed on the bottom left. Also unique from previous tees, the rear simply includes a small print reading “December 2017” and doesn’t include the small red box logo. Shop the tee here. For Supreme’s Fall/Winter 2018 collection, the brand opted for a Christmas accessory instead of the usual t-shirt. 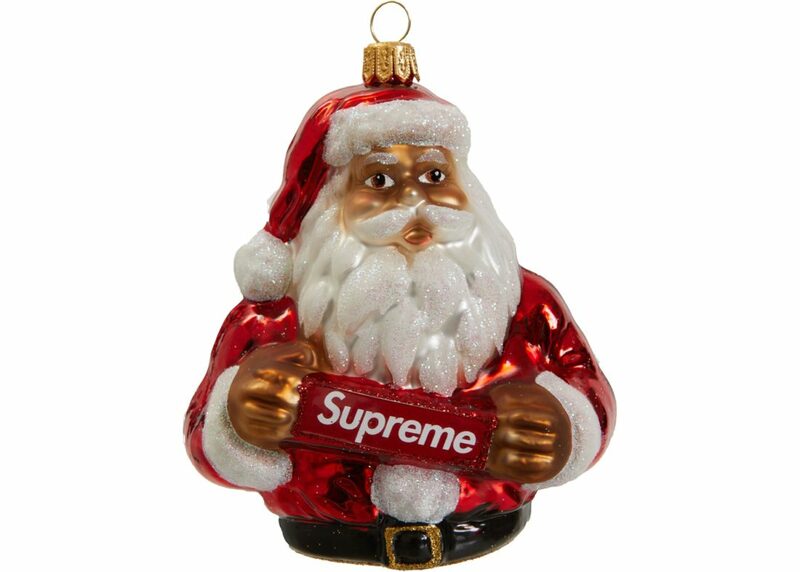 The Santa Ornament is hand painted and hand blown in Poland, and features a jovial Santa holding a red Supreme box logo, reminiscent of the graphic feature on the 2016 Christmas tee. Affordable and usable, we recommend picking one up here today. While Supreme’s Christmas release tradition officially started in 2014, photos have surfaced of a “Happy Holidays” tee that reportedly was given to Friends & Family of the brand during the 2001 holiday season. The graphic is, well…interesting, but if you ever come across of these tees you know you definitely have yourself a grail worthy of hanging on to.